Hot Deal – Refurbished Nikon COOLPIX P900 for $429 at BuyDig ! Nikon USA authorized dealer BuyDig via eBay has a hot refurbished deal on Nikon COOLPIX P900 super zoom camera. The deal price is $429.99, currently lowest price online ever. This item is refurbished by Nikon USA, coming with 90-day Nikon USA warranty. Hot Deal – Nikon COOLPIX P900 for $499 ! Nikon USA authorized dealer BJ’s WholeSale has a hot deal on Nikon COOLPIX P900 superzoom compact camera. The deal price is $499, $200 off than regular US price. This is a limited time deal, will be expired soon. Hot Deal – Refurbished Nikon COOLPIX P900 now $429 at Adorama ! Adorama camera currently has a great deal on refurbished Nikon COOLPIX P900 super zoom compact camera, it is now get $70 price drop than regular price. Refurbished items sold by Adorama coming with 90-day warranty from Nikon USA. Hot Deal – Nikon COOLPIX P900 for $519 at Quickndone ! eBay USA top rated seller Quickndone has a hot deal on Nikon COOLPIX P900 superzoom camera. This is currently lowest price for Nikon COOLPIX P900. Hot Deal – Nikon COOLPIX P900 83x Zoom Camera for $549 at RedTag Camera ! eBay top rated USA seller RedTag Camera has a hot deal on Nikon COOLPIX P900 compact camera. This is currently lowest price for this camera. Nikon COOLPIX P900 now In Stock at Best Buy ! Finally in stock ! Nikon COOLPIX P900 now finally in stock at Best Buy. Other US stores is still out of stock for P900. Hot Deal – Nikon COOLPIX P900 for $546 ! 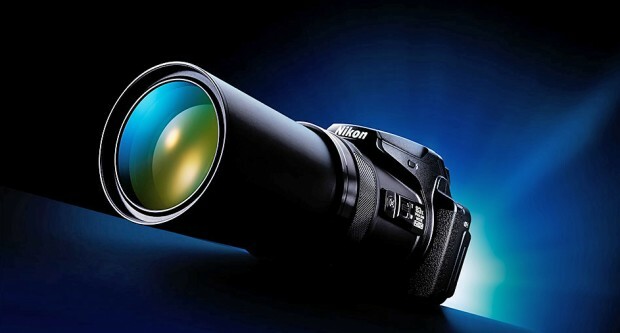 The Nikon’s latest superzoom bridge camera Nikon COOLPIX P900 now already get $50 off at Big Value Inc.